Those of us who call ourselves “dudes” and also call ourselves “public relations” professionals are a pretty rare breed. But we’re out there. Please reference this post from April of this year for more insight into other communicators who have reached the ranks of “Dudedom.” Hey, there’s even a couple of “guys” out there who practice public relations. Perhaps the most accurate definition of a dude is someone — more than likely a guy — who works with livestock. That person more than likely resides at a dude ranch, a place where I’m quite sure there are few public relations professionals. Although, some of us in the industry or other white collar professions may visit a dude ranch on vacation. 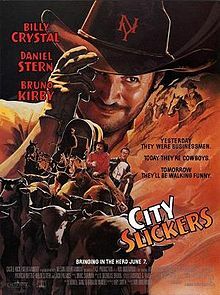 You know, like Billy Crystal and his buddies in the film City Slickers. 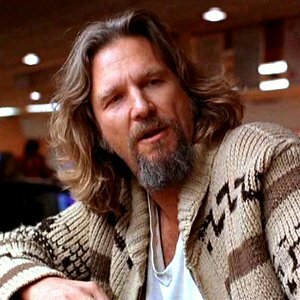 And, of course, Jeff Bridges played an iconic character called “The Dude” in The Big Lebowski. I looked up the definition of the word “dude” in the online Urban Dictionary and got this one: “A word that americans use to address each other. Particularly stoners, surfers and skaters.” For the record, I ain’t none of the above, although I did try surfing once and used to play hockey. Now on to the true subject for this post. Earlier this week, The PRDude was featured in a post from blogger Hao Nguyen, a PR professional from Australia. He blogs as That PR Dude and concentrates on a question and answer format as part of his Interview Series. Frankly, I’m flattered to be featured and I plan to use the Q & A format myself soon. 1. He’s a fellow Dude, and one who practices PR. 2. He’s young — 23 years old according to his site — and fully engaged in learning the skills needed to excel in the industry. 3. He’s crafted some pretty compelling posts. 4. He blogs through WordPress — just like The PRDude! For more insight into my career, please read Hao’s post. And, please visit his blog to learn more about Hao. We’re on different sides of the world, and I’ve been in the industry a little longer — okay, a lot longer — than Hao. But I gather we’re both passionate about ethical, effective public relations and its role in the world today. This entry was posted in Uncategorized and tagged blogging, City Slickers, Dude, PRDude, public relations, public relations blogs, That PR Dude, The Dude. Bookmark the permalink.